As a blemish-prone gal, I always have concealer in my makeup bag. There is never enough concealer. Never. I've tried many different ones, and to this day, I still really haven't found my holy grail concealer. 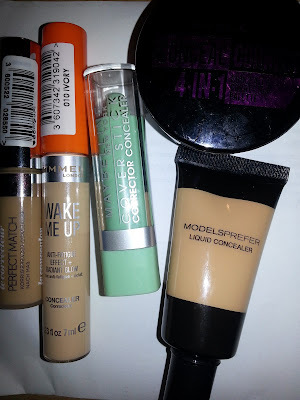 I've tried sticks, liquids and even odd-coloured ones (greens and purples), and they do alright, but it's so difficult to find a full coverage concealer for all the red patches, pimples, scars, and eye bags. So far, I've collected a few that really do the trick, but as always, I have my favourites. 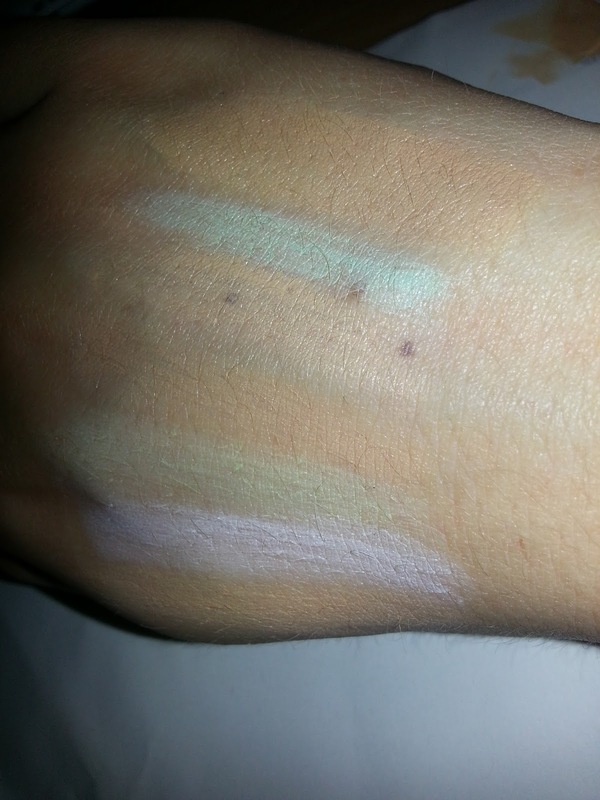 In my collection though, I house these concealers, swatched on my hand. australis conceal correct 4-in-1 concealer corrector palette. The Rimmel Wake Me Up concealer is great for under the eyes, and really helps to brighten your eye to make you look much more awake.The australis concealer is a four-section compact with two skin-tone sections and one purple and one green. The creamy consistency is good, but it is difficult to build and get out of its tray. The Maybelline cover stick is much better in this respect, as you can literally draw it on your face and just blend into any redness on the face. The true match concealer was a bit of a let down, unfortunately. It is too dark for my skin (not exactly doing what it says it does) and it hasn't got very good coverage. The Models Prefer concealer is great so far. Not too much, but is easily build-able, and matches my skin well (having a concealer a shade or two lighter than your skin is best). Concealer really is essential for me, as I have blemish-prone skin. If you want a really natural look, use your concealer before foundation. But if you're looking for a more intense and targeted coverage, apply after foundation, and blend in using a blending brush (I just use my concealer brush). All concealers really just do the same thing, but it can be hard to find the right one. If you really need high-as-high coverage, try to find a cream concealer, as the thick consistency will hold really well and cover any redness or bags. If you only have a few small blemishes but otherwise nice skin, try to just use a small amount of concealer and blend into the rest of your face. Keep on trucking, as I'll be revealing my sadly very small collection of blush and bronzer. 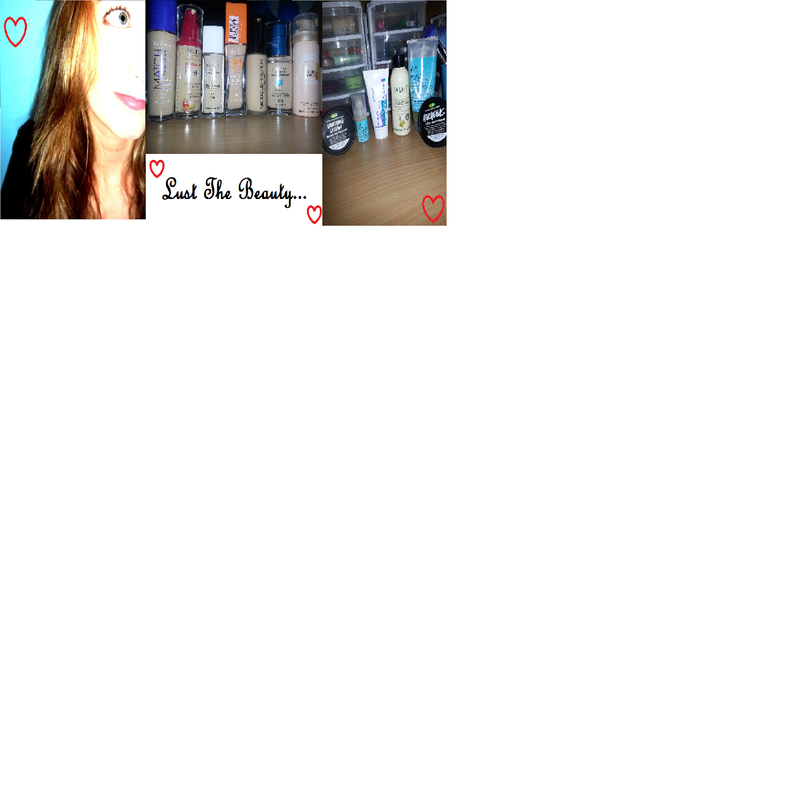 And after that, a few tutorials on how I combine my makeup for a natural finish or a heavier coverage for a night out.